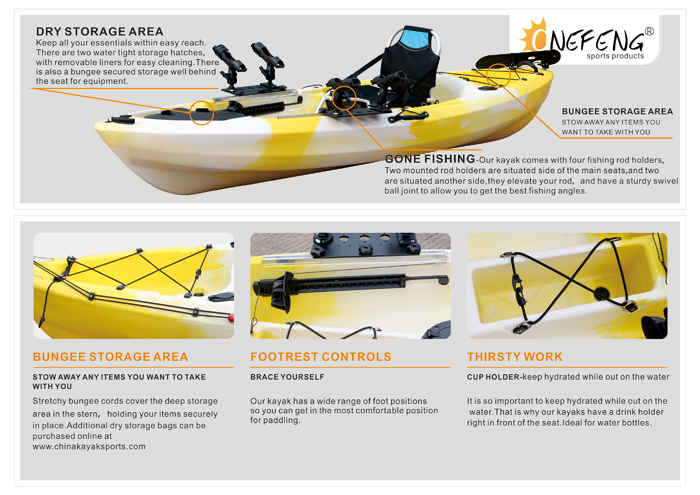 The Onefeng kayak is a fantastic way to get out on the water. 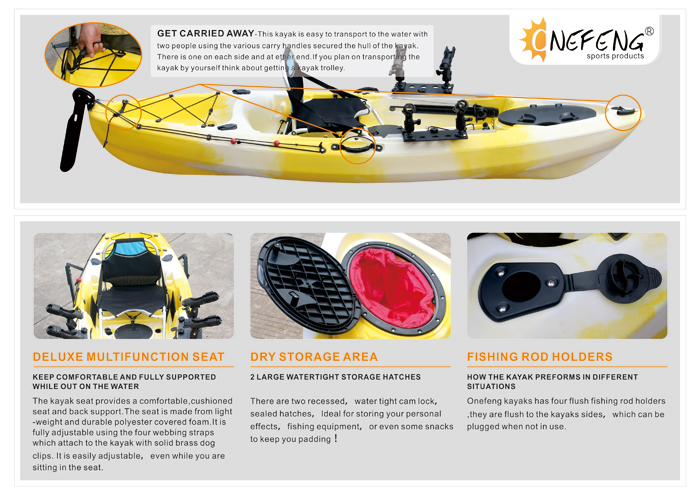 It is stable, fast and comfortable with many features to make it a pleasure to use.Although this kayak has been designed with fishing in mind, it is also a fantastic all round recreational kayak. 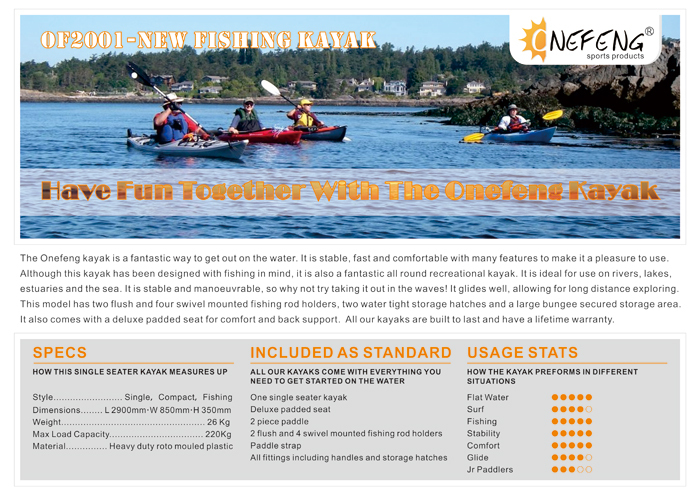 It is ideal for use on rivers,lakes,estuaries and the sea. 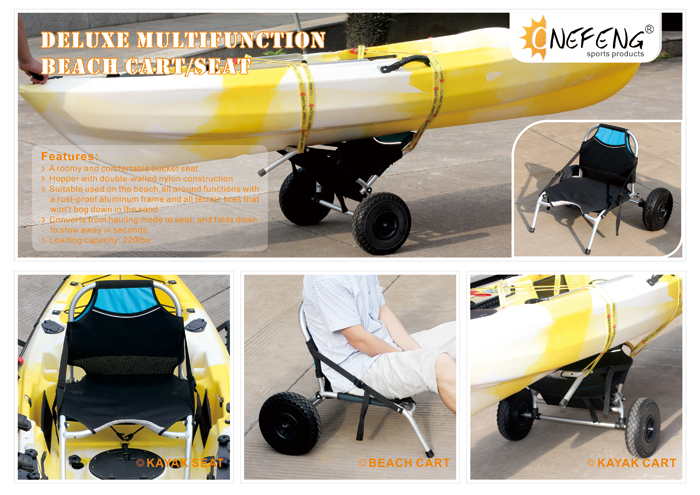 It is stable and manoeuvrable, so why not try taking it out in the waves! 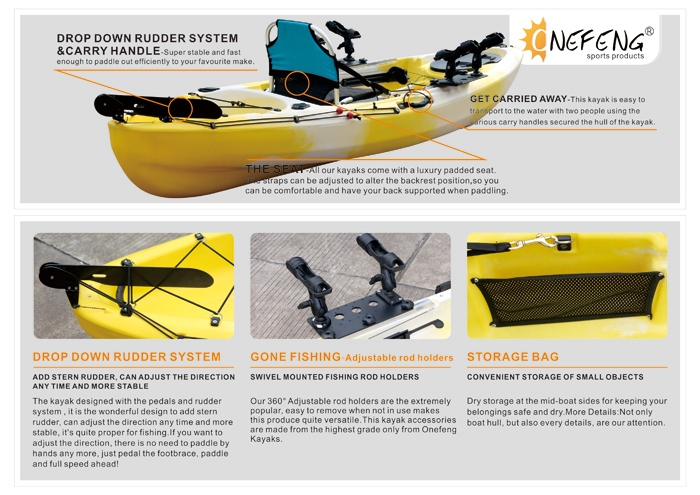 It glides well, allowing for long distance exploring.This model has two flush and four swivel mounted fishing rod holders, two water tight storage hatches and a large bungee secured storage area.It also comes with a deluxe padded seat for comfort and back support. 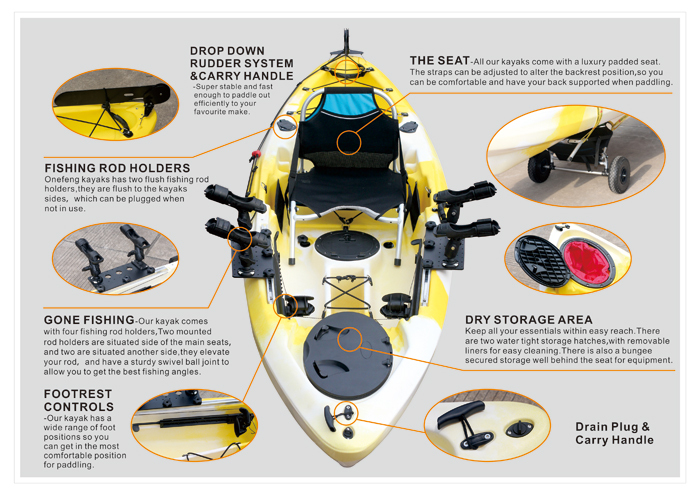 All our kayaks are built to last and have a lifetime warranty.